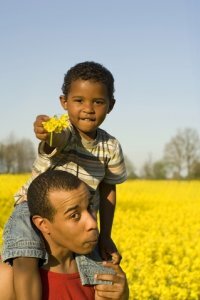 To develop a good father son relationship you might want to think of yourself in the role as nurturer, mentor and best friend. The majority of men secretly pray from the moment the pregnancy is announced to the moment the baby is born that they will have a son. This is not to say that they would not love a daughter if that were how things turned out. There is nothing more satisfying than a good relationship between father and son. Sadly, this dream is often shattered and relationships can often turn sour between the two. Your aim as a father is to develop and nurture your son towards becoming a man in his own right. Your role is to guide him, teach him and educate him without being too controlling. Something your son will never forget is the love and support that you should show always. Support is very important. Whatever your son wants to do with his life, try and support him with it. If its something that you may not feel is right for your son, then discuss it in a way that he'll understand. Later on in life, you can then go on to have open discussions on manhood and fatherhood. Good communication with your son from a very early age can work wonders towards ensuring that a good father and son relationship will continue upon reaching the troublesome teenage year which is when the majority of problems are likely to rear their head. Your son's teenage years do not particularly have to be a troublesome time for both father and son. Hopefully the relationship you built during the early years will hold in good stead and help to take you both through to your son's adult life and carry on. This relationship will then continue and evolve in any relationships he has and which he can share with his own son. Go from Father Son Relationship back to the Mother Daughter Relationships page.